The main objective during the product support stage to maintain the maximum value of your product. There are opportunities to design and introduce timely but minor improvements in materials, components, systems and software. This may also lead into the identification of new product spin-offs or major product design changes based on the information gathered from data feedback and field failures. What does this field failure mean? How can we correct this failure? Call Today for your FREE Consultation! 303.444.7480 Improvements From Field Failure DataPercept offers Improvements From Field Failure Data by analyzing your failure information. 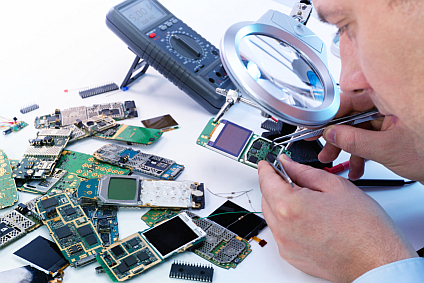 We can help you determine the root cause of the failures like manufacturing tolerances, soldering issues, design flaws, etc. By understanding the amount of exposure, you can make informed decisions that may reduce warranty costs and save company reputation. Finally, Percept can help you understand why these failures are happening and offer suggestions for improvements and/or preventative measures.